Many congratulations to Mary Read on ringing her first Quarter Peal ‘inside’ of Plain Bob and Grandsire Doubles. 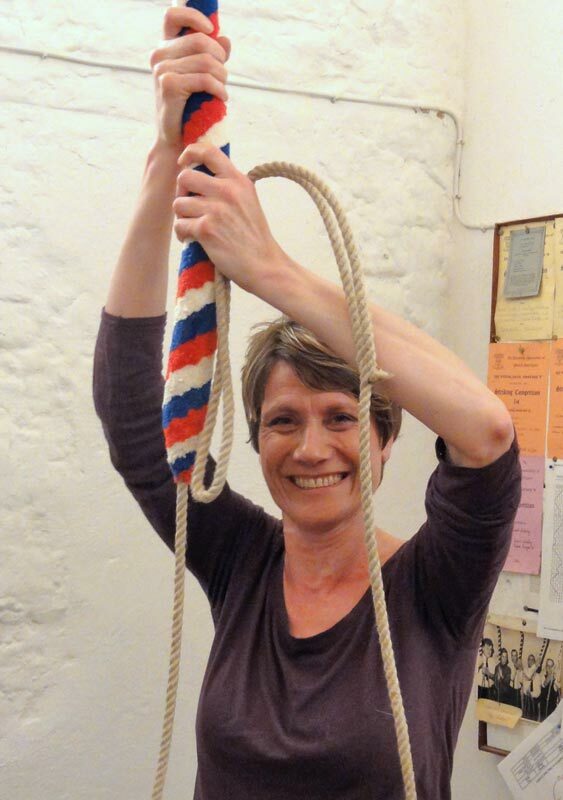 A Quarter Peal is about 45 minutes continuous bell ringing requiring a high level of concentration and ringing skill. Mary was one of six ringers who rang at Holywell Church as part of the Huntingdon District Bellringers Quarter Peal Day on Saturday 16th June this year. Well done Mary and a great photograph. I rang bells at st Micheals 1941 the bell rope was attached to the clanger ! had great fun ringing the rounds – did I carve my intls in the stone work (RL) in the belfry???? ?